Back Office Pro provides a range of services to businesses, organizations and individuals around the globe. We understand how important it is that you can trust the company you hire to provide exceptional service within your very specific and often strict budget restrictions. You need to know that when you outsource a project, it will return to you fully completed, on time, under budget, and to the highest level of quality possible. There are companies that provide the same services as Back Office Pro but strive only to profit, not maintaining the same high levels of quality we have ensured to our clients for so many years. By conforming to ISO quality standards - among the highest in the industry - we ensure that every project you outsource to us will be completed on time and accurately. What ISO Quality Means for You? 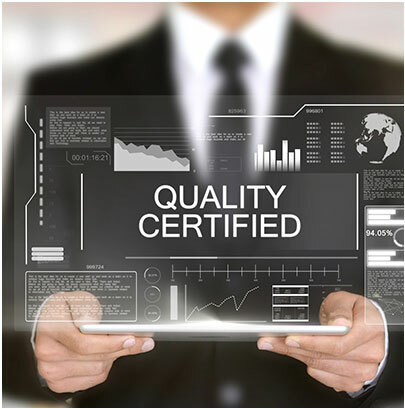 ISO quality standards refer to the International Organization for Standardization, an organization that sets clear standards for the completion of given tasks within certain budget, time and quality standards. ISO quality guides the actions of countless businesses around the globe, showing them how to streamline operations and maintain a high level of service that benefits their clients. Our goal is that our clients always have access to the best quality service in the industry, whether it is a single project or a major offshore move that will free up resources for your corporation. We don’t just strive to meet ISO quality standards, but to exceed them in every project we undertake. Our ISO Quality Guarantee to You? By following ISO quality standards, we guarantee to you that we will hire and continuously train only the most skilled workers in their individual fields. From informatics to illustration and engineering, we have on staff extremely skilled, highly educated individuals to handle your next project. We also strive to maintain high levels of accuracy and exceptional turnaround time without either interfering with the other. This means that, without cutting any corners, you will receive exactly what you need as fast as possible. Whatever your needs, Back Office Pro has worked tirelessly for many years to create a business that will ensure they are continuously met without any shortcuts or sacrifices made. Contact us today to learn more about all of our services and how ISO quality standards guide our production.